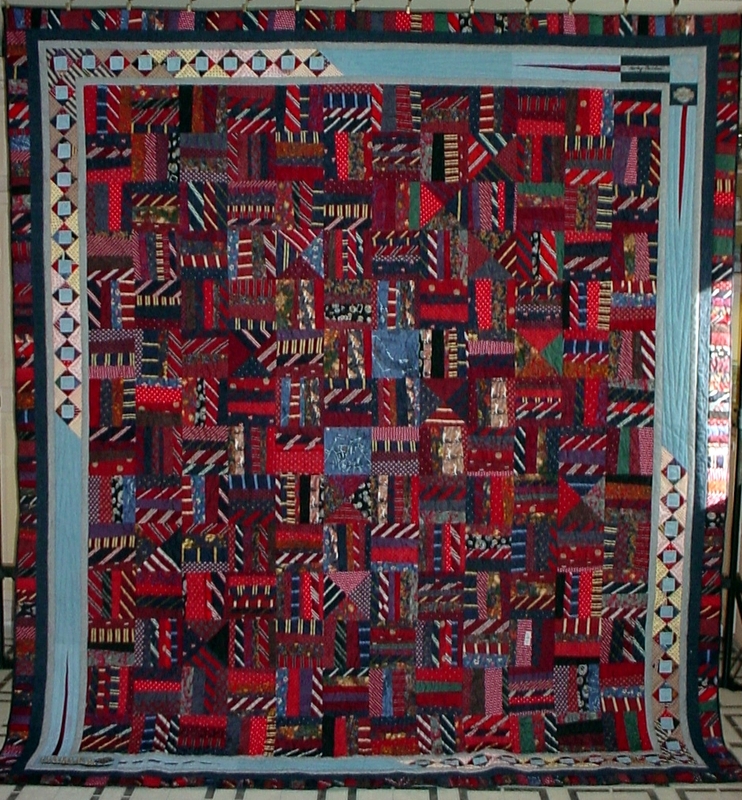 Over the years I have made a few memory quilts. 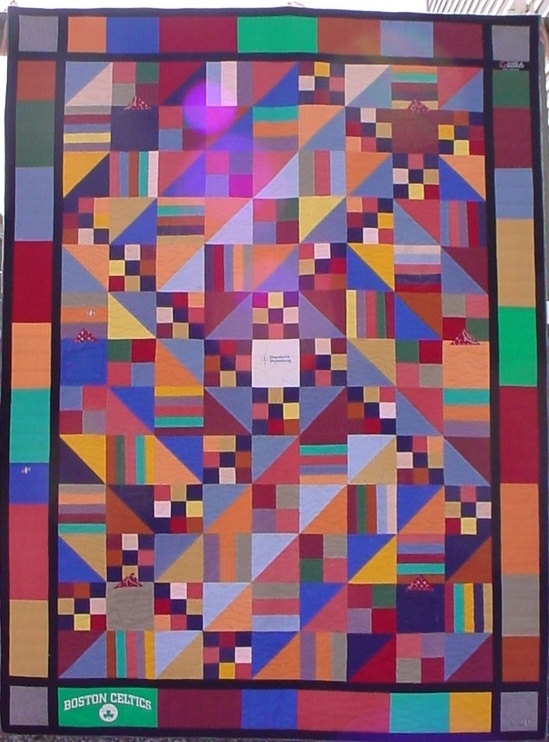 I have also quilted memory quilts made by customers. 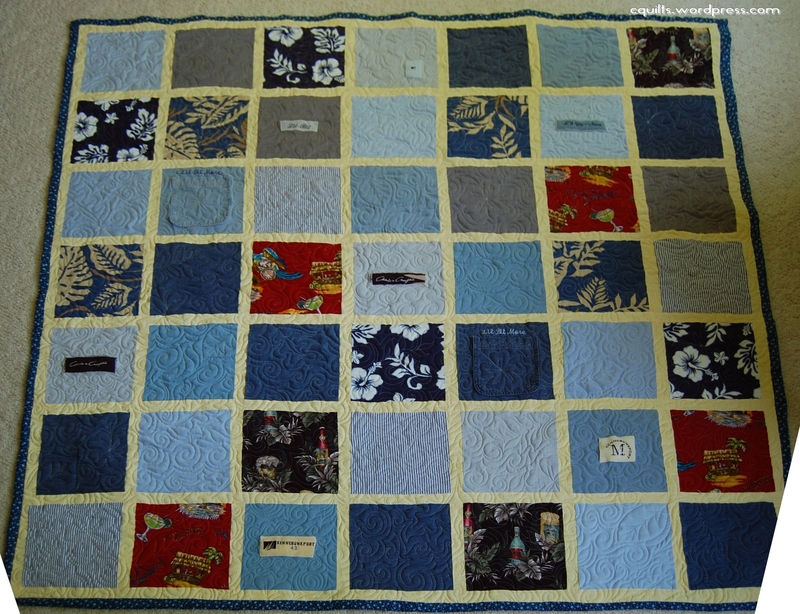 Memory quilts come in all shapes and sizes, from wall hangings, to something to cuddle under on the couch, or even bed size. 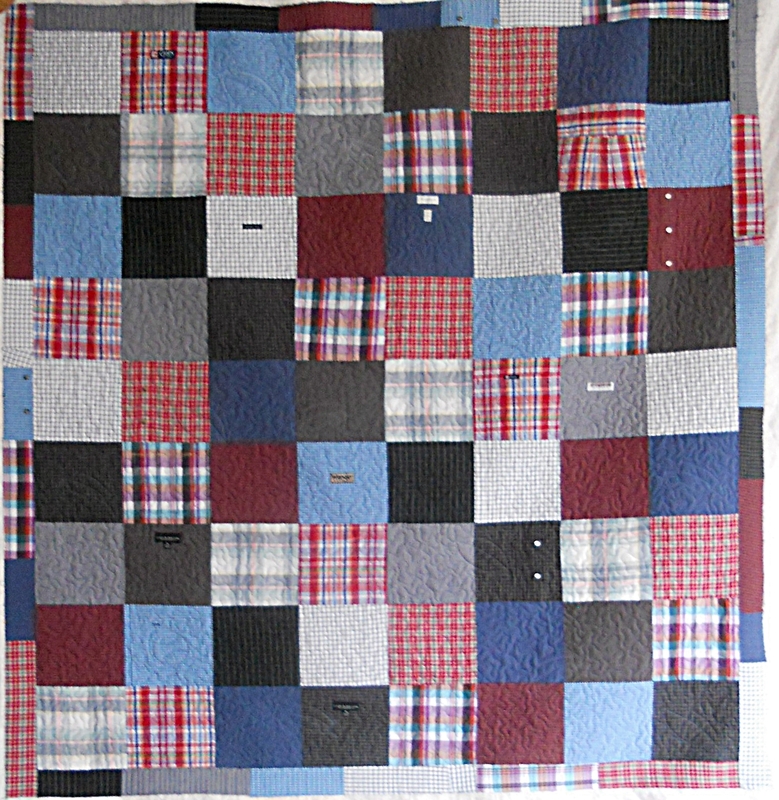 Memory quilts can be made from a loved one’s clothes; neck ties, dress shirts, t-shirts. Some include pictures transferred onto fabric. All are made out of love. 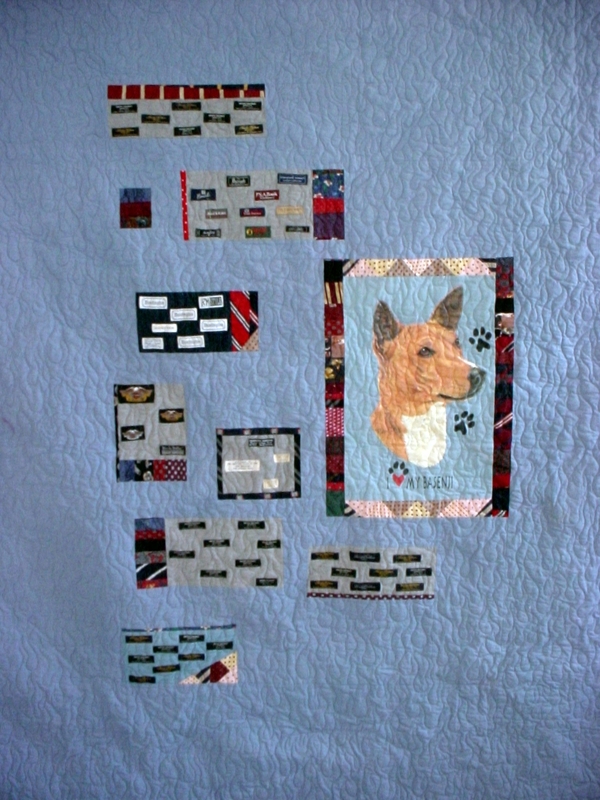 Here are a few of the memory quilts that I have had the pleasure of having a hand in their making. Whether it be from start to finish or just quilting it. They always have love sewn in. Made by Customer from Husbands Boating Shirts.